Sunsets for Poetry Month - A.L.L. insights, news, video and announcements from around the country's school districts. The recent sunsets I experienced in St. Lucia are a reminder of upcoming work at Osborne Elementary, Houston in conjunction with Poetry Month. The recent sunsets I experienced in St. Lucia are a reminder of the upcoming work I will be doing at Osborne Elementary School in Houston in conjunction with Poetry Month, one of my favorite times of the year! In our initial exploration, we will focus on various elements of poetry, including imagery. 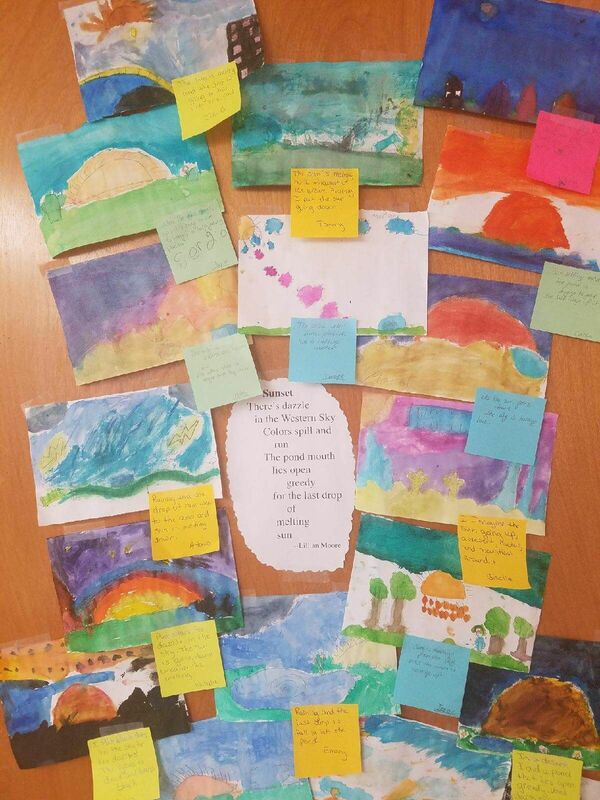 Students in 3rd grade last year read Lillian Moore’s poem, Sunset, and then painted the image they saw in their mind’s eye, finally turning them into their own poems about Sunset. Can’t wait to see the K-2 students’ work.